Writer/director Dan Gilroy and star Rene Russo of 'Nightcrawler' talk about exploring the seedy business of TV news, collaborating as a married couple, and working with Jake Gyllenhaal. Nightcrawler is nominated for an Academy Award for Best Screenplay. 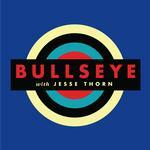 The Bullseye Holiday Special returns for 2014! Music expert Mitchell Kezin talks about his new documentary called Jingle Bell Rocks! It dives into the world of alternative and underground Christmas music. Bill Corbett (the veteran writer and performer from RiffTrax and Mystery Science Theater 3000) talks about his new graphic novel called Super-Powered Revenge Christmas. And there’s another exciting Christmas comic out this year: The Flash Gordon Holiday Special: 2014. Jesse will talk to its authors, The Daily Show writers Elliott Kalan, Dan McCoy and their pal Stuart Wellington. Lastly, Jesse reveals his one true holiday tradition. Two comedy giants this week. First, Jesse talks to Chris Rock about what it was like to become one of the world’s best stand-up comics in the 1990s. Rock’s got a new movie out. It’s called Top Five. Then, Jesse sits down with Monty Python member John Cleese. They’ll talk about his early life and about what Cleese really thought about the recent Python reunion. Cleese’s new memoir is called So, Anyway. Plus, we ask Scott Aukerman what piece of culture he wishes he had made. His answer? Twin Peaks. Lastly, Jesse tells you about a TV show that lets people just be people.